American Airlines confirms one of their planes, flight 1241 heading from Detroit to Dallas, returned to the gate for inspection after it struck the wing of another aircraft as it was taxiing away from the gate for takeoff. 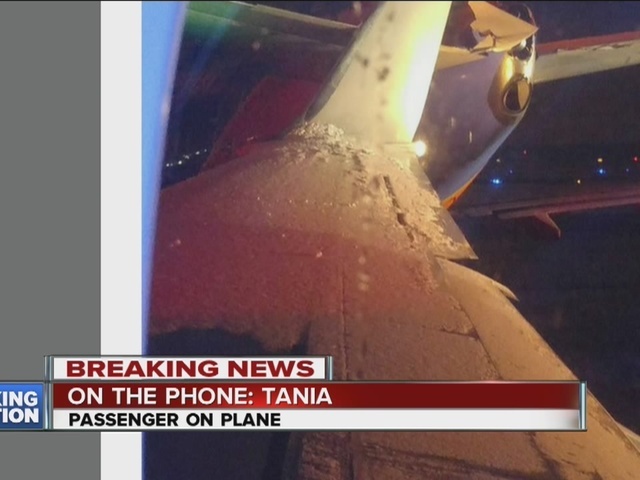 The plane struck a Southwest Airlines aircraft that was being deiced at the time. 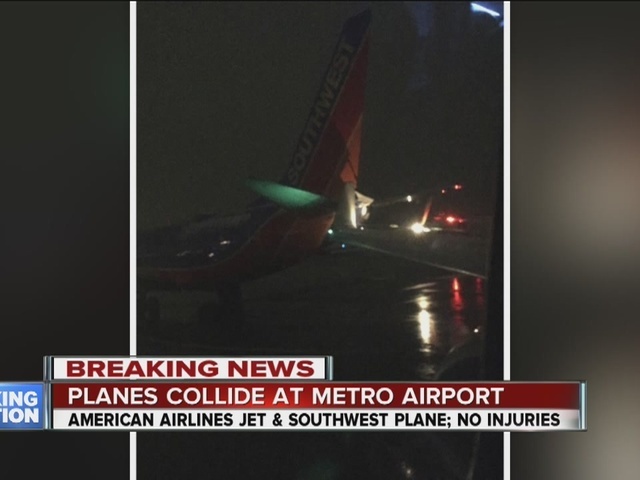 "Southwest Airlines flight 9 was in the process of being deiced this morning at Detroit Metropolitan Airport (DTW) when an aircraft belonging to another carrier came into contact with the Southwest aircraft’s tail area. There are no reports of injuries, and the Southwest aircraft is now out of service for maintenance. The flight was scheduled to operate from DTW to Dallas Love Field (DAL), and the Southwest Team is in the process of accommodating customers on alternate flights. We appreciate the patience of our customers as we work diligently to get them safely to their final destinations." "We were sitting here...and all of a sudden we felt a boom, boom, boom. I was like 'oh my God, what is that?'" said Tania, one passenger on the American Airlines flight. AA plane hits a Southwest plane in the taxi way clipping part of the wing, how can this even be possible !!!! !